Terrapin Ridge Farms Roasted Pineapple & Habanero Sauce - Miam! 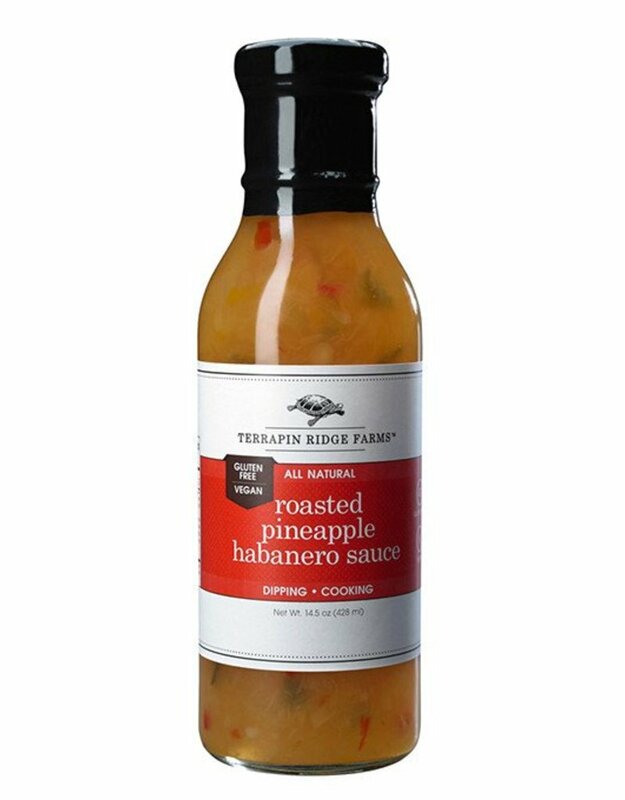 The sweet and caramelized taste of roasted pineapple is combined with red and green bell peppers, onions and fiery habaneros. Pour over cream cheese and serve with crackers for an incredible appetizer. Terrific as a sauce for pork, chicken and fish. Use as a dip with tortilla chips.